On this episode of the BSN Rockies Podcast, Drew Creasman answers some questions including some about the defensive ability of the young up-and-coming players and some of the debate around steroids and the Hall-of-Fame. Plus, is it better to go all-in for one championship or play for sustained success? 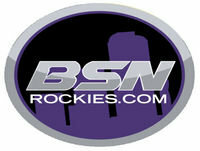 The post BSN Rockies Podcast: Going all-in vs. playing for sustained success appeared first on BSN Denver.